If you’re like most people, buying a car is a serious financial commitment. You want to get the best deal possible, while also being as certain as possible about the quality of the vehicle itself. This creates a dilemma: whether you should buy your car online (often at a lower price) or in person (where you can test the car beforehand). According to TIME American car shoppers are happy to shop online for new automobiles – around 75% of survey respondents said that they would consider buying a car completely online, never setting foot inside of a dealership. Moving this to an online platform allows car buyers to cut down some of the time they would otherwise spend at the dealership – two hours of extra time, according to some estimates – and still get a good deal. In many cases, the financing aspect of the purchase can be handled entirely online, making life easier for customers. Warranties granted for online products tend to be more comprehensive than those offered in brick-and-mortar stores as well. They are designed as an extra incentive to trust a product you won’t get to actually test before buying. There are two major types of online car dealerships. Dealer aggregators and direct-to-consumer dealers. Dealer aggregators collect listings from various dealers and present them to customers in a standardized, easy to navigate format. Most of the big-name car websites are dealer aggregators or have aggregator functions as part of the site. Direct from Dealer websites are essentially the site of a particular branded auto dealer. You’ll only find the cars available in that particular dealer’s stock, and you’ll be able to ask for a quote or even chat with a salesperson as you see fit. As the DMV points out, buying a car online can be very convenient, but you’ll want to be sure that your dealer is represented within your state. Otherwise you might have to go through a more complicated registration process than expected. As an additional benefit, it’s much easier to comparison-shop at an online dealership, especially through a dealer aggregator. You may find that several dealerships have the same year, make, and model of vehicle and be able to choose the best option at a more competitive price. 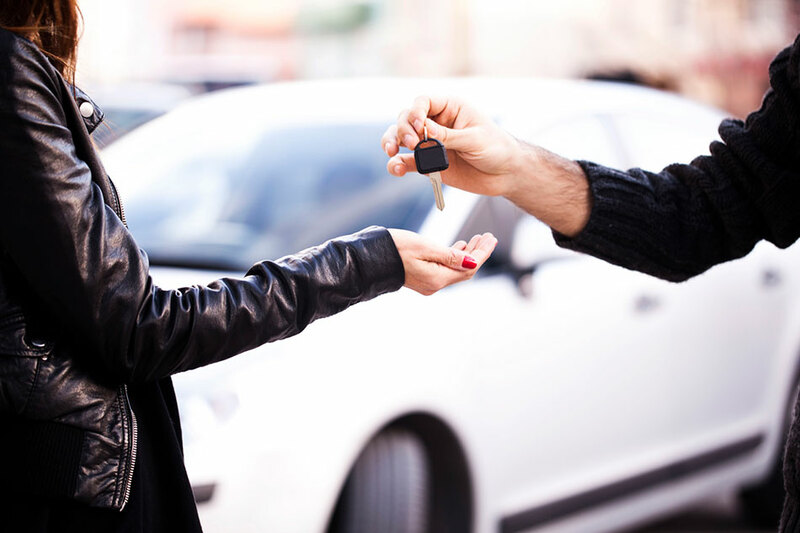 While each of these methods of car shopping have their benefits and drawbacks, there is nothing preventing you from doing both. The Internet is convenient and accessible, and you can use it to learn about some good deals before stepping into a dealership to test drive a particular vehicle. This approach might earn you some leverage with the salesperson, and get you a car for a lower price than you would otherwise. Matt Tiemann is the Freeman Toyota Guy.